My love for the industry is a pretty simply one – honest wines that reflect extraordinary sites. Being raised and having worked in the Yarra, it was only in the early 2000’s that I began to realise just how little we understood our own backyard. For a number of reasons we appeared to be too busy trying to emulate the great wines (with often terrible results) rather than focus on what makes our sites unique and our better sites world class. In 2004 when I returned to Australia to commence this project, the aim was to start with a blank canvas and find the balance between the restrained wines I love to drink and the unique environment of the Yarra Valley. After working in old regions in Europe where the wines begin in the soil and are intrinsically linked with generations of knowledge (sounds obvious but most new world wines start in the winery), my journey began with consideration given to soil type, vine age and protection from our sun and winds. Our challenge today remains the same – to better understand our land. This has become a lot easier having four vineyards of our own complemented by our partner vineyards. Of our own vineyards, 3 were in disarray when we found them. Serious TLC has been applied to these sites with startling results. In that time the uniqueness and richness of their personality has been encouraged, not suffocated. I am lucky to share my passion with the rest of the team who show an unwavering commitment to this journey. We believe in our sites and also believe that as our relationship grows with each site, the wines will become increasingly vivid and engaging. I love the journey we are on. It is small and modest but there isn’t much I would change. Our philosophy on viticulture is pretty simple, we are not trying to adhere to any labels or work under any specific banners of management. 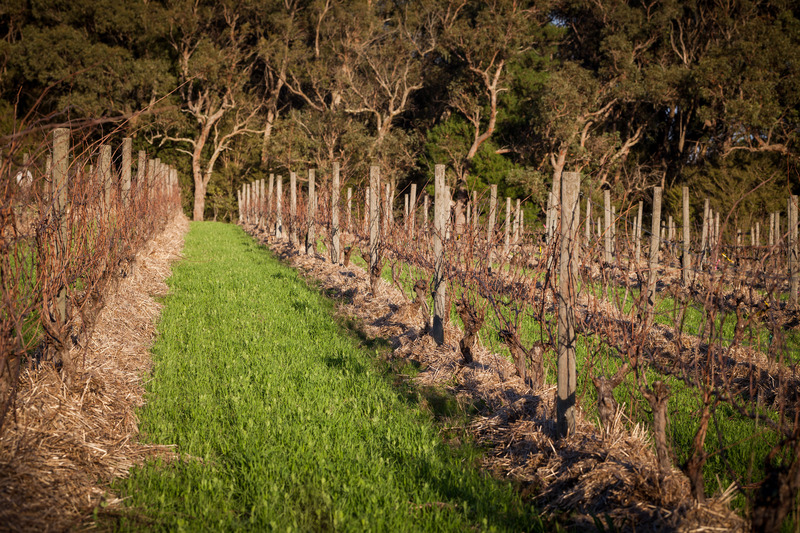 We aim to look after the vines and the sites as best we can, this means carrying out all tasks at the best possible time with respect to the season, site, block, row and vine. Once this is achieved, we can put extra effort into the longevity of each site via soil work, composting, inoculation and feeding of the greater soil biomass. The vines are only as good as the soil they are anchored in. Every season is so different that we are constantly pushed to question and re-appraise practices, as they are just that; practice. The search for perfection that drives us has no end point, by collaborating internally and externally we continue to build and bottle each seasons practice. We then look back, step forward and start again.